For years now, it seems like anything I write on St. Johnstone has adhered to the same template. I'm fed up with finding alternative ways of saying "greater than the sum of their parts", "well-organized", "punching above their weight" and "not given the credit they deserve". Last season they finished an outstanding fourth - their sixth consecutive top six finish - and managed their best ever top flight points total to boot. But all good things must come to an end. And how much longer can they keep this up for? 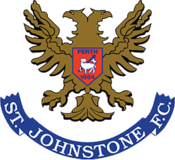 So much of St. Johnstone's success is down to manager Tommy Wright. He is phenomenal at setting up a team. Whilst the gameplan often seems conservative, the players are so effective at counterattacking that there is still plenty of entertainment value there. But arguably Wright's bigger strength has been his ability to find good 'uns who will come to McDiarmid Park. And it's been critical, given that every year one of his best players leave to try their luck elsewhere. This summer it's Danny Swanson who has jumped ship. Meanwhile age catches up with those who stay. Of the six players left from the cup winning side of 2014, four are over 31. Every offseason it seems to become that teensy bit trickier to fill the gaps. Wright's frustration at criticism of their Europa League elimination in Lithuania had an element of 'thou doth protest too much' about it. He made a big deal of his side's dominance of possession, but the lack of quality in the final third was concerning in both legs. Deep down he must know that the dependence on Steven MacLean (35 in August) up front is unhealthy; Chris Kane and Graham Cummins are hard workers and good for the odd goal but are neither as prolific nor as capable of leading the line solo as MacLean. They need to find an heir for the veteran, and they have been linked with Aberdeen's Miles Storey. The loss of Swanson puts a bit of pressure on new boy Stefan Scougall to provide the creativity. Scougall was considered a talent as a kid at Livingston and initially did well at Sheffield United before losing his way last season. Wright excels at turning around players that have lost their way a bit, so hopefully this will be another example. Ditto the returning Michael O' Halloran, who has come back on loan after a nightmare 18 months at Rangers. If he gets back to his best, then arguably the first XI is stronger than last year. It is depth that becomes the issue. The rest of the midfield could do with keeping Chris Millar (now 35) and Murray Davidson (whose body must feel the same age) fit, though that might not be realistic; Paul Paton is an okay backup but offers little of Millar's clever positional sense. The defensive reserves are even more threadbare; behind their very strong central defensive duo of Joe Shaughnessy and Steven Anderson are a bunch of untested academy products. If Saints have to rely on the likes of Jason Kerr and Ally Gilchrist for any length of time they could struggle badly. But Saints will still fancy themselves to once more finish in the top six, though they will do well to top Hearts (again) and the returning Hibs - in turn leaving them only one place in the top half to aim for. As I said, all good things must come to an end. 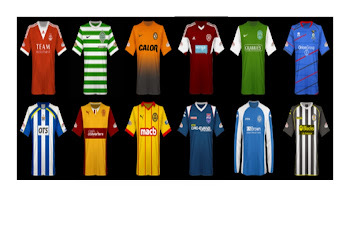 But for St. Johnstone, not yet.